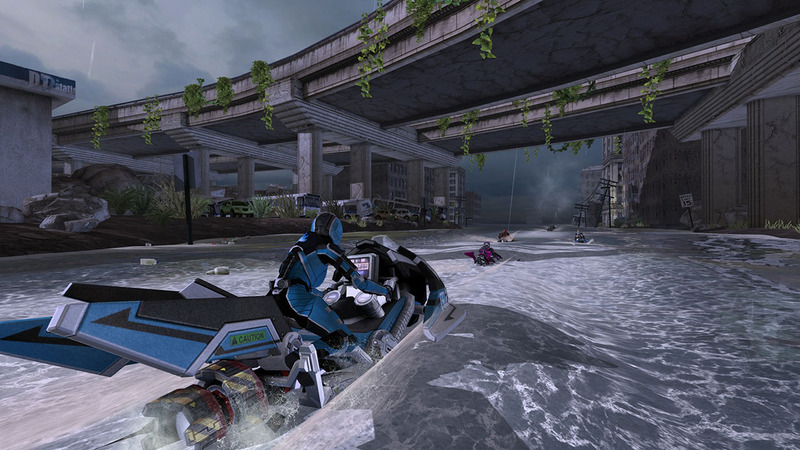 Experience a future of illicit hydrojet racing, where armored riders kick out death-defying stunts over massive waterfalls, dodge cops through public waterways, and boost at breakneck speeds across surging waves. Unlock new vehicles, playable characters, and customization features as you take down bosses and build your crew in Career mode. 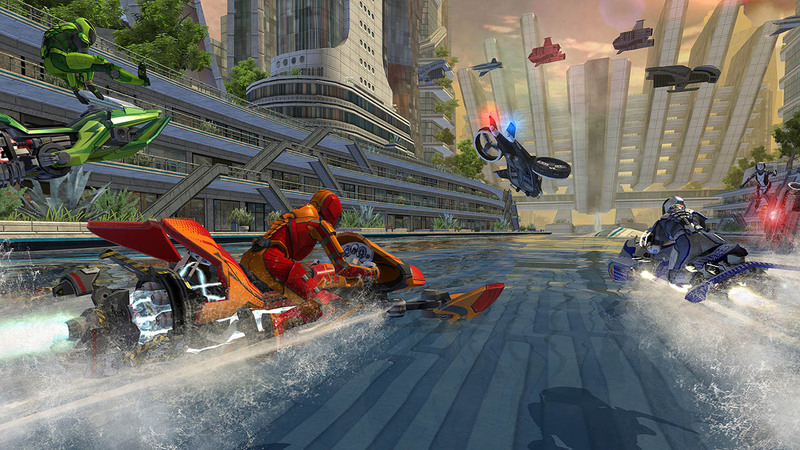 Play your friends in Online matchups, ghost racing Challenge Mode, and split screen multiplayer. 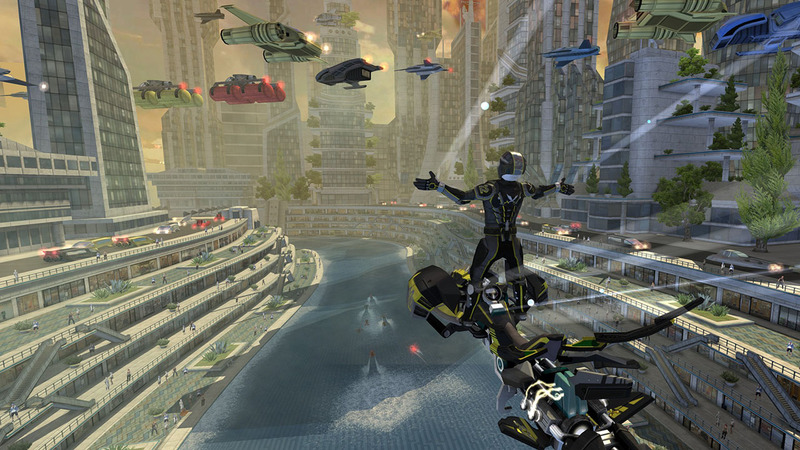 • Every thrill-ride race track is packed with interactive set pieces, dynamic obstacles and secret shortcuts. 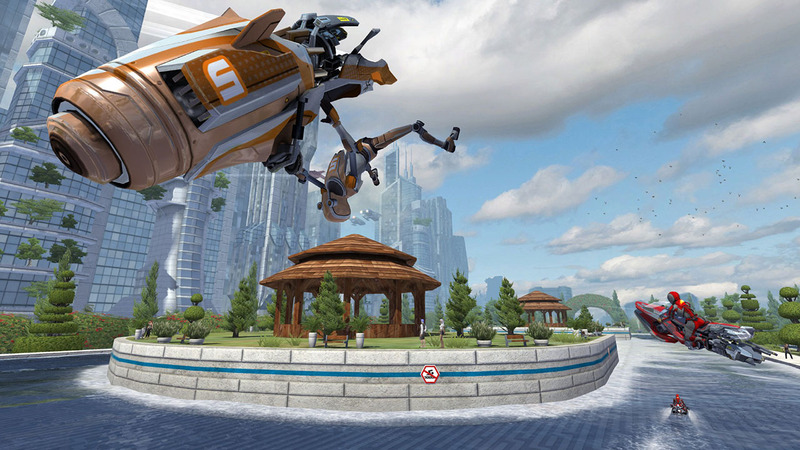 • Earn cash and experience to upgrade and customize your hydro jet, unlock new stunts, and increase your rider&apos;s performance. 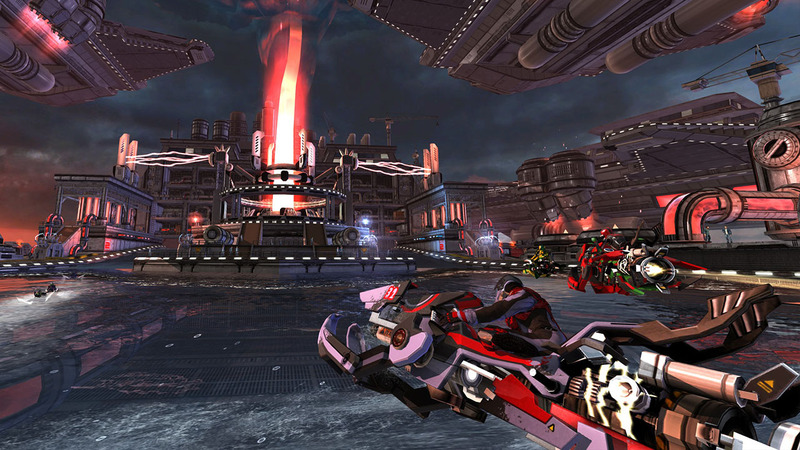 • 8 player online, 4 player split screen, and async ghost racing battles with your friends. 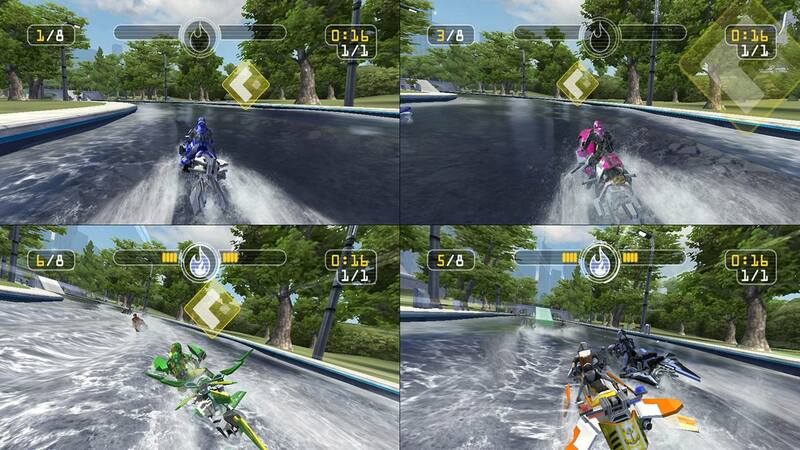 • Collect and upgrade a garage full of blisteringly fast hydro jets that transform while you ride them. Win money to upgrade and customize each one. 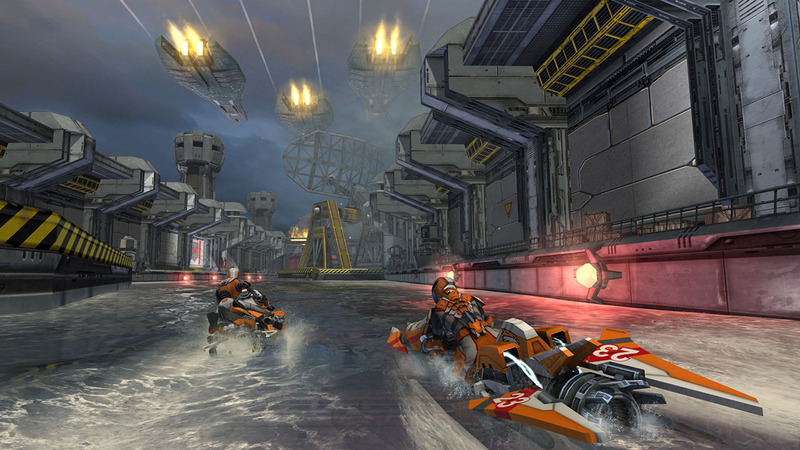 • Silky smooth, blisteringly fast racing action at 1080p / 60 fps! Riptide GP: Renegade Copyright © 2016 Vector Unit Inc. All rights reserved. 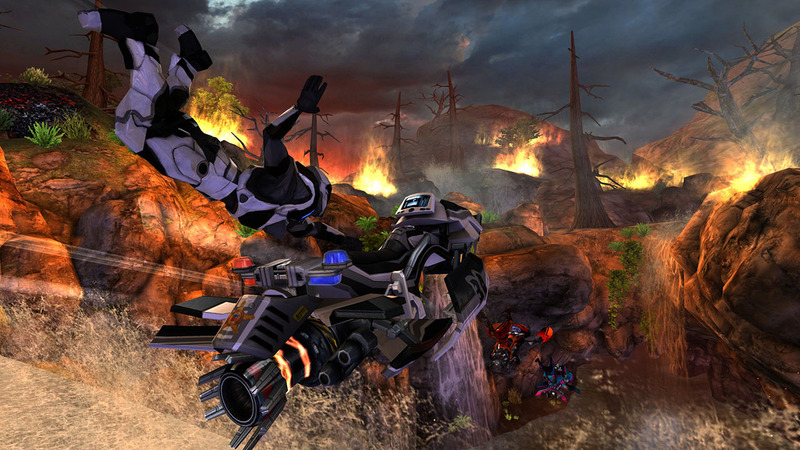 Vector Unit and Riptide GP are registered trademarks of Vector Unit Inc in the U.S. and other countries.